Hand knotted, 6mm painted wood beads with 8mm guru bead on natural hemp cord with natural hemp tassel. 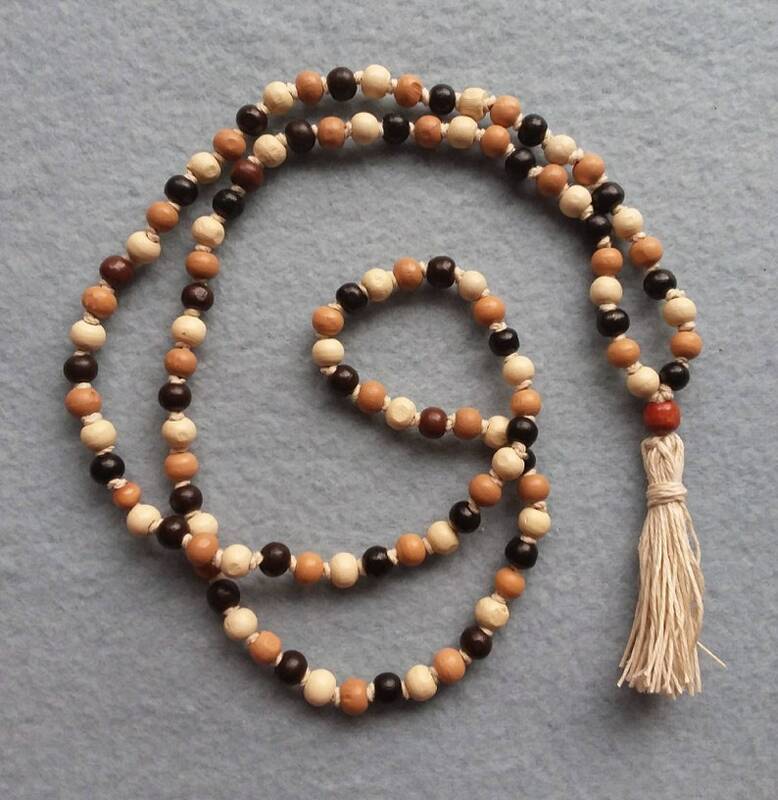 Each knot made with meditation intent of "serenity" and finished mala blessed with Reiki energy. Please note, new hemp cord is a bit stiff but will become softer and more pliable with use.